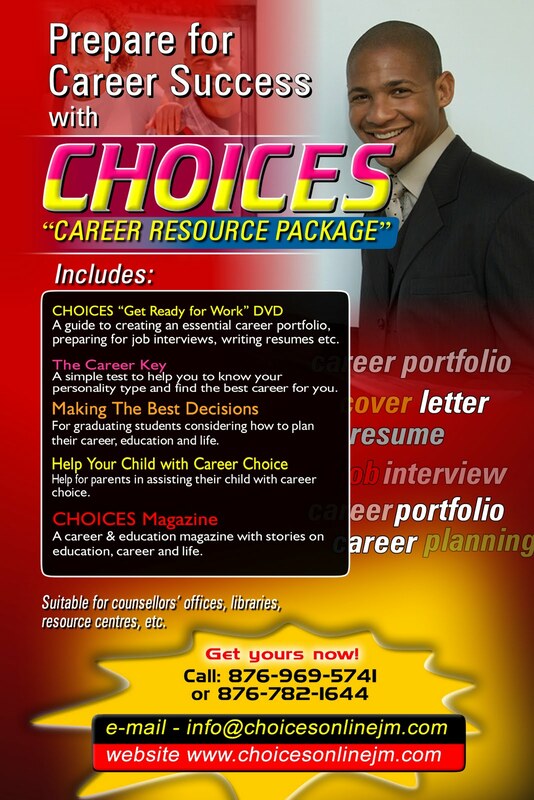 The package includes The CHOICES Get Ready For Work DVD, a copy of The Graduate’s Guide to Making the Best Decisions for Your Career, Education & Life”, The Career Key”, Help your Child With Career Choice — A Guide For Parents” and recent copies of CHOICES Magazine. 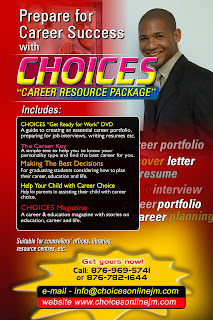 These materials will assist your schools in preparing students for the working world and to improve their job prospects. The resource package which is suited to library, counsellor’s office or career resource centre is supplied in a presentation case which will keep these materials clean, safe and available for use for years to come. The secondary package is available to you at a cost of US$65 each and the primary package is US$17.50. Both packages include a DVD themed "Get on Track for Exams & Beyond"